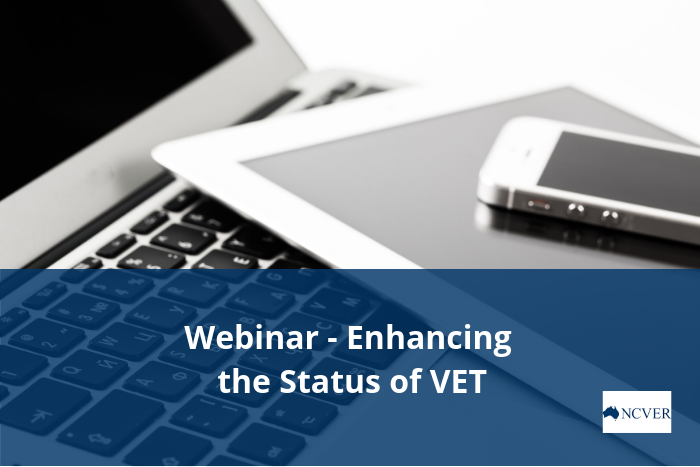 The National Centre for Vocational Education Research (NCVER) has announced their first webinar for 2019 – Enhancing the status of VET. This webinar will draw on the work of Professor Stephen Billett and colleagues focusing on the perceptions of parents, potential and current students, employers and teachers about the status of VET. This work is supported through a Queensland Government Department of Education and Training Education Horizon Research Grant. The intent of this work is to help identify and inform policy interventions about promoting the standing and status of the VET sector across Queensland’s communities but is likely to have application nationally. The webinar will also showcase programs and initiatives aimed at demonstrating the value of VET to potential learners. The webinar will take place on Thursday 21st February 2019 at 1.00pm (AEST). Click here for more details and to register.